Poor ol' Ginger Snaps, his legs are doomed to be dunked in a glass of milk - LOL! 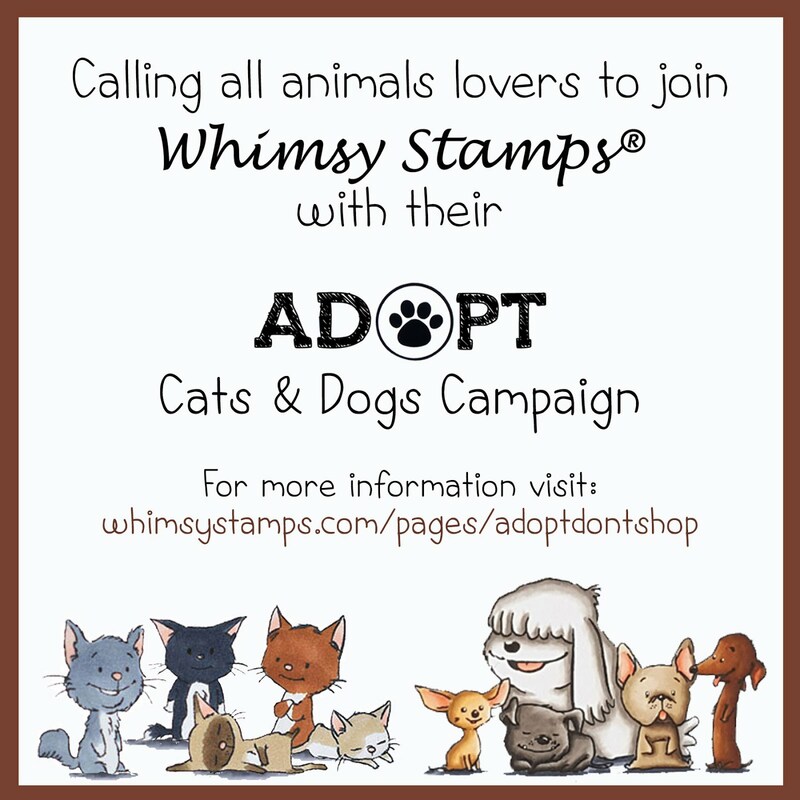 Have you seen the NEW Ginger Snaps stamp set that just came out? It's a fun clear stamp set that is sure to give your friends and family some giggles. 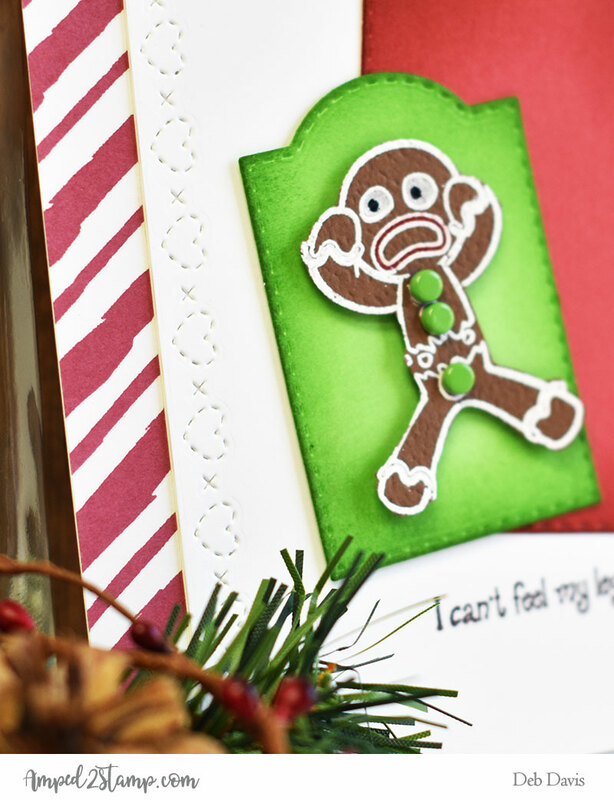 I heat embossed Gingy with white embossing powder on a dark brown cardstock and filled in the icing with a white gel pen. Now that I see it filled in I kind of wish I left it alone (ha). I cut him out by hand and added some green brads as his buttons. I used the Brushed Stripes background for the red and white stripes on the edge and used the heart die from the Straight Edgers die set. The background tags are from the Tombstone Tags die set and I just sponged on some ink around the edges. The sentiment was stamped with a dark brown Versafine Clair (acorn) ink. To finish my card I popped Gingy up on foam tape to give him a little more dimension. 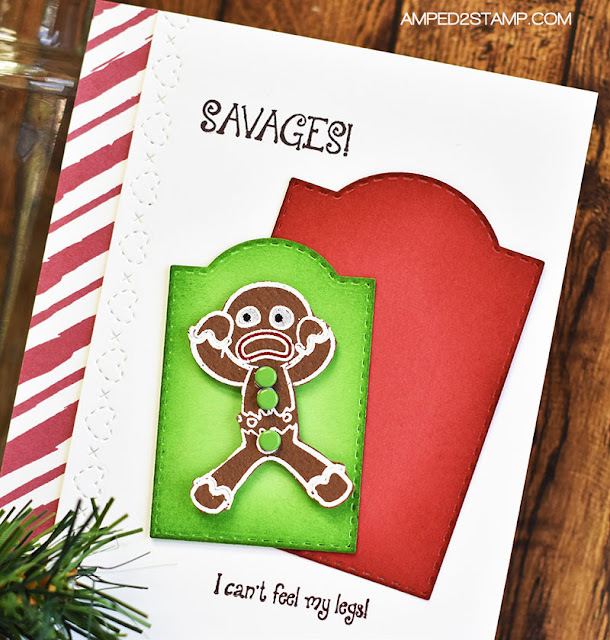 I hope the Ginger Snaps stamp set gives you some giggles this holiday season. I'll be sharing more blog posts for inspiration using this stamp set in December too.